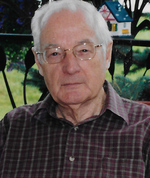 Marsh, Chester “Chet” Lowell - 88 of Little Bass River passed away peacefully on Thursday November 29th in the Colchester East Hants Heath Centre, Palliative Care Unit. Born in Economy Nova Scotia, Chet had lived for a time in Ontario and Indiana, returning to Nova Scotia in 1962. He left city life in Dartmouth to retire with his wife Vera in 1995. Her passing on November 15th 2018 left him inconsolable. He was also predeceased by his parents Gordon and Rose Marsh, and sister Edith Cochrane. Chester spent over 30 years with Palmer Refrigeration of Halifax. Soon after entering the field, he achieved his refrigeration technician certification and over time became Sales Manager and General Manager. In the industry and amongst colleagues, Chet had a reputation for being hard-working, fair, honest and reliable. He took very seriously fact that over 30 employees and their families depended on the company, its reputation and the quality of its work. Chester is survived by: sisters, Marion Cochrane of Dartmouth and Ada Welton of Economy; son, Wayne (Gail) of Enfield and daughter, Catherine Smith (Brian) in Carrs Brook; grandsons, Jeffrey Smith of Halifax, Jeremy Marsh (Sarah) of Fall River, Tim Marsh (Julie) of Wellington; and David Marsh of Bedford; and by three great grandsons, Ben, Aaron and Luke Marsh of Fall River. A funeral service will be held at 2:00 p.m. on Friday December 7th at Faith Baptist Church in Great Village, followed by a reception. Pastor Steve Adams officiating.